Three tablets shortly before drinking alcohol. Take 2 or 3 more before retiring if alcohol effects are felt. 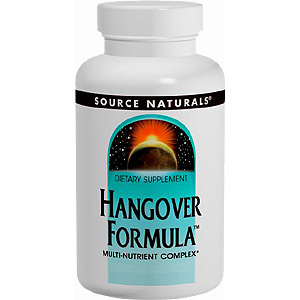 If hangover is experienced the next morning, take 3 more. Alcohol consumption during pregnancy has been shown to cause birth defects, including fetal alcohol syndrome. If you are pregnant or breastfeeding, consult your health care professional before using this product. 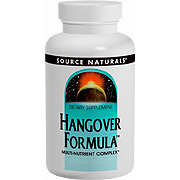 Hangover Formula™ - 60 tabs is shipped in a discrete, unmarked package. Orders are processed immediately and usually take about 3 to 5 working days to be received. We do ask that you try it for 2 to 3 weeks to feel the full effects. Any information received is used only for order processing and shipping purposes. Your information, such as e-mail address, will never be disclosed to a third party.